Intel's Galileo open-source computer for the hacker and do-it-yourself crowd can now be ordered for US$69.90, and is scheduled to ship at the end of November. The Galileo computer is an unenclosed circuit board that's a little larger than a credit card, and uses Intel's extremely low-power Quark processor. The board is a competitor to the popular $25 Raspberry Pi open-source PC, and is targeted at the community of makers and enthusiasts who make computing devices ranging from robots and health monitors to home media centers and PCs. Intel had earlier said the computer would be available for under $60 by the end of November. Online retailer Mouser Electronics is the first to take orders for the board, and the price falls to $68.25 per unit for a bulk purchase of 100 boards. Intel announced the board in early October, and is tapping into the maker community as a way to figure out how to best use Quark chips. The board is open source, meaning that Intel will release its schematics and design for others to replicate and manufacture. Intel reached out to the enthusiast community for the first time in July when it started selling its first open-source PC called MinnowBoard, which is priced at $199. The Galileo is more expensive than the Raspberry Pi, which has better graphics capabilities, and also the $45 BeagleBoard; both of those products are based on ARM CPUs. 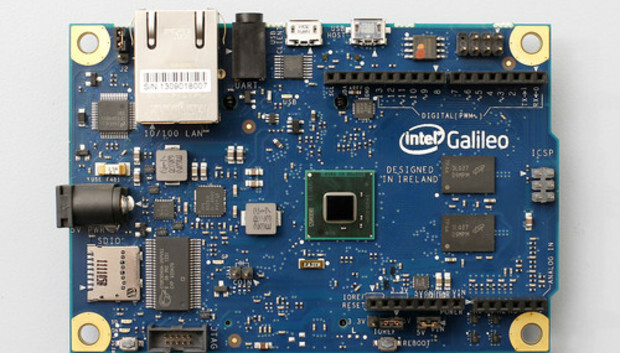 Intel will be giving away 50,000 Galileo boards to students at over 1,000 universities over the next 18 months, though the company hasn't yet disclosed at which educational institutions it will do so.